* Celebrate a birthday, a milestone, an accomplishment and MORE! * Students LOVE to see their name in LIGHTS! * Choose OUTSIDE Marquee, CAFETERIA Marquee or BOTH! 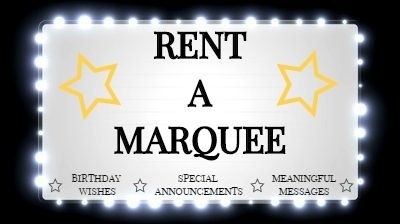 with any questions that you may have regarding your Marquee Order.